Orange Bakery Story | Orange Bakery, Inc.
Due to the success of the MM Line, filled sandwich croissants became a common item on the lunch menu throughout the States, competing with McDonald's hamburgers in popularity. Soon, the MM Line was supplying Farmer's Markets everywhere with an array of pastry goods that lined up the shelves in their bakery sections. 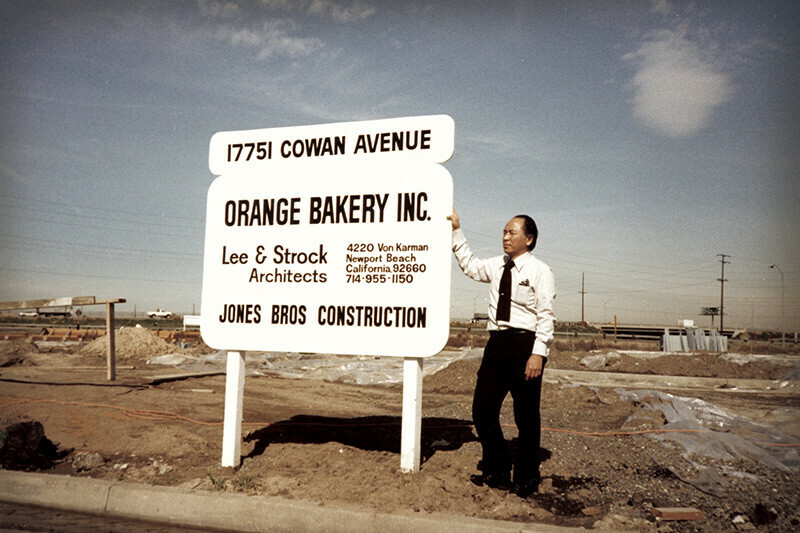 September, 1978, Construction of Orange bakery began in Irvine, CA. The wind that travels across the hot desert is blowing on my cheeks. And at this very moment, as I stand on this vast land. Torahiko Hayashi, Rheon’s Honorary Chairman has been inducted to the ASB (American Society of Baking) Hall of Fame on March 4th, 2013. 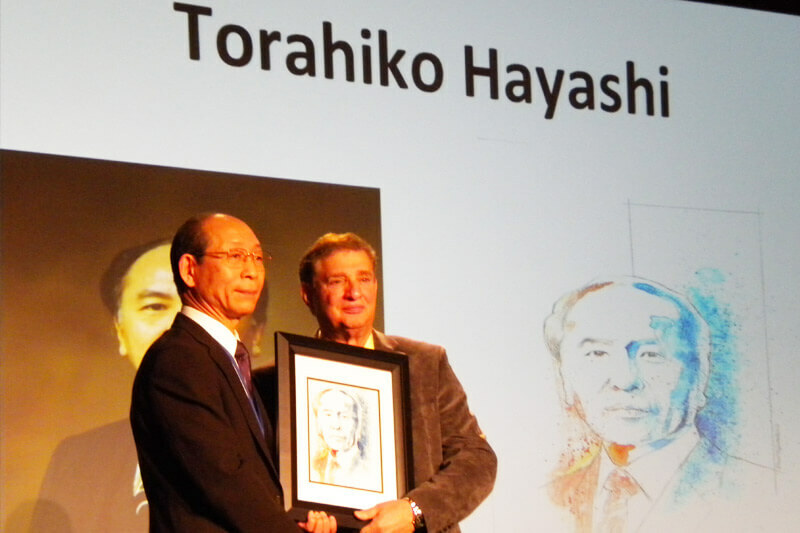 Hayashi’s life time work for the bread industry has been recognized the United States. Some of his many accomplishments include the automatic (MM Line) Pastry Line and various Bread Lines that produce Stress-Free bread. By providing the American market with MM Line products, Orange Bakery has transformed the pastry section in supermarkets across the nation. Where Farmer's Markets once carried only bread, vegetables, butter, and eggs, the MM Line has brought beautiful and flaky Danish pastries and puff pastries. I must not forget the many and vast improvements that Orange Bakery brought to the labor aspects of the production environment in the States and around the world. By introducing and demonstrating Rheon's latest technology, Orange Bakery also served to spread Rheon's production know-how throughout the industry contributing to the modernization of the world's food production industry. 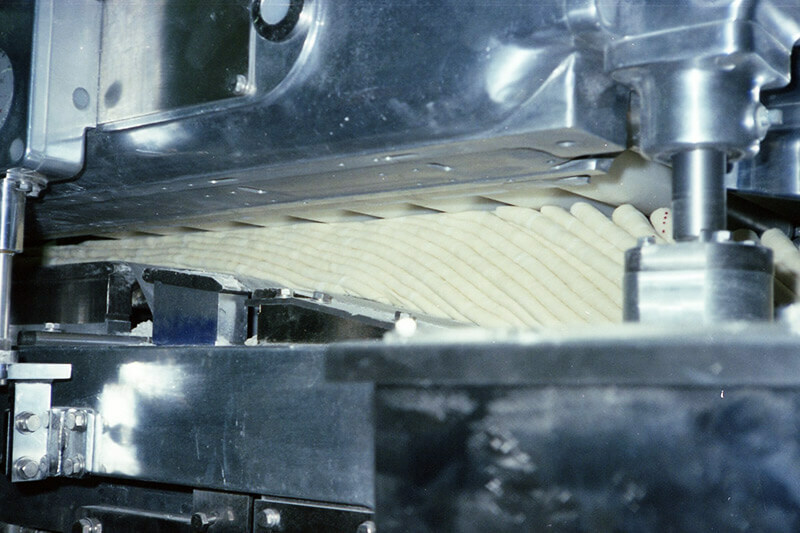 Rheon's applied rheological engineering offers the new "Stress Free® System" to create damage-free dough during the forming process. Rheon has developed the system of "From Dough Sheet to Bread". Bread dough is conventionally formed by dividing a large dough block into small portions, and forming round, bar, or flat shapes. However, this process applies stress to the dough during the dividing process, greatly damaging the gel and cell structures. The dough will not be able to produce air bubbles, resulting in poor-quality bread. 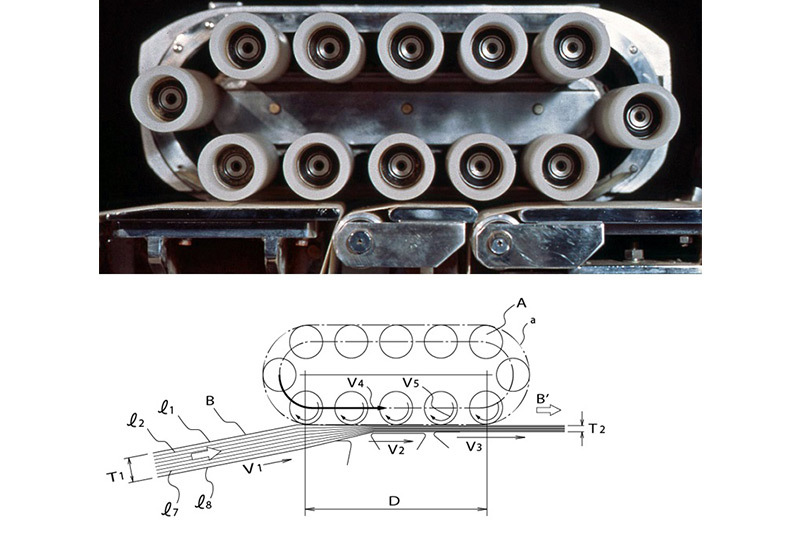 Therefore, it has been essential to use some chemical additives for strengthening the dough structure, and to undertake extra processing to recover the damaged dough structure after dividing. 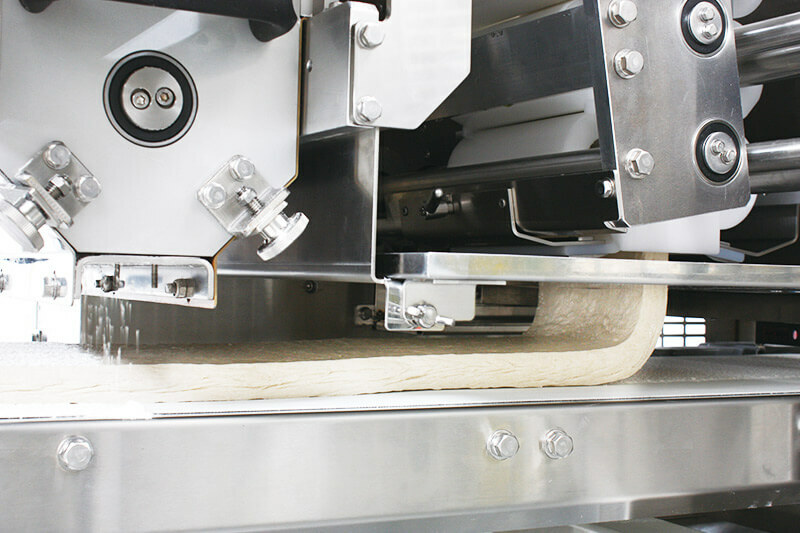 Rheon has made it possible to eliminate this time-consuming process by forming continuous thin dough sheets prior to the dividing process. 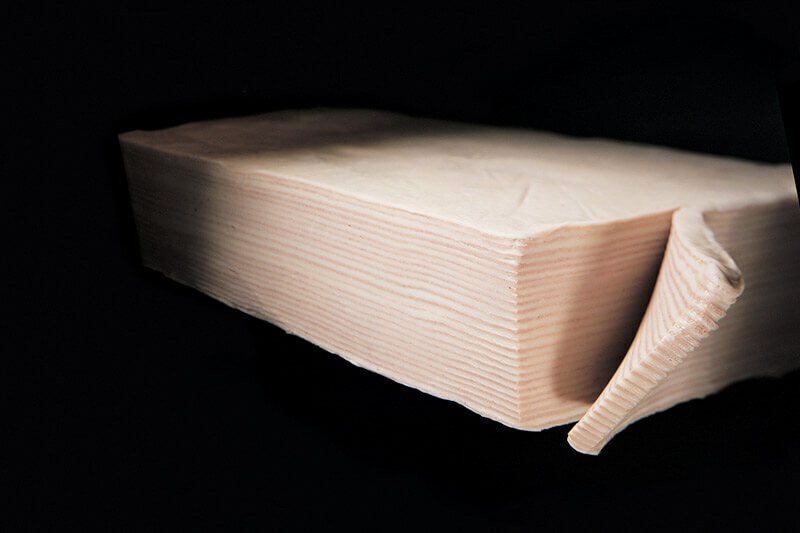 While forming the dough into thin layers, the dough binding is strengthened to create any form of bread product. This is the "Stress Free® System".